Imbalanced neurotransmitters can cause many emotional, mental and physical health issues. 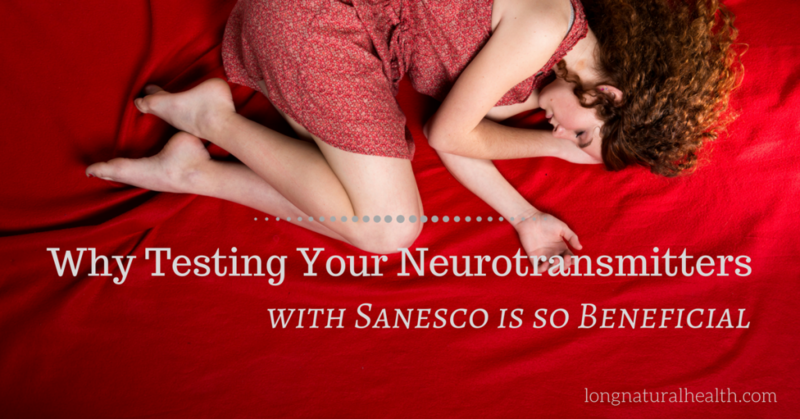 If you don’t already know about our Sanesco HPA Neurotransmitter testing (easily done at home) and our Sanesco natural neurotransmitter formulations, read on…. Is Depression More than a Chemical Imbalance? For years, researchers have pointed to a chemical imbalance in the brain as the cause of chronic depression. This information led many people straight into their doctor’s offices for prescription medication that would mask chemical imbalances and provide a sense of relief from the symptoms of depression. How Does Your Brain Chemistry Affect You? At Long Natural Health, we have a variety of simple, at-home tests that cover a wide range of symptoms. If you have questions about any of the tests you see below, please contact our office at 303-845-1827!